"7-zip is an easy to use, lightweight compression software to compress or archive your large files and directories." 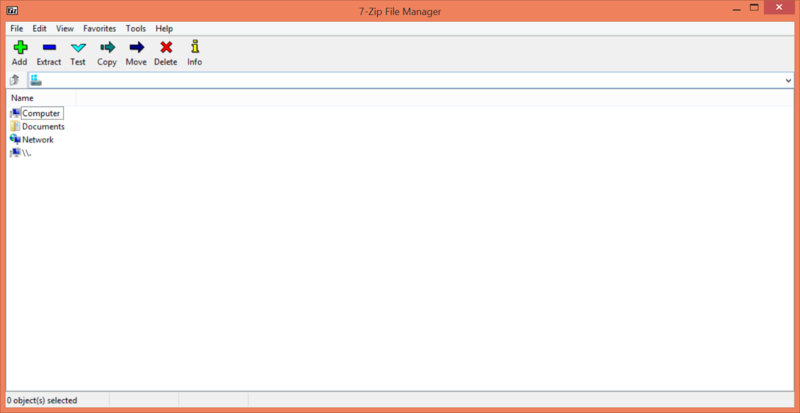 7-zip is an easy to use, lightweight compression software to compress or archive your large files and directories. This is a very useful application if you plan to store large directories of files for a long length of time and would like to reduce the file size of this directory as much as possible to maximize the space on your hard drive. You can also use 7ZIP to compress large files into smaller sizes if you also choose to store or "archive" your files for a later date. Compression software isn't just useful when you choose to store important, but rarely used files. You might choose to send these directories with many files over a network or even the Internet. Using compression software and "archiving" your software can significantly decrease the overall size of the files together within the directory. This would result in faster transfer speeds. This also includes the transfer of large files. Sometimes compressing the large files into an archive, or even compressed pieces of the large file can greatly reduce the size of the file and increase the speed at which you get the file from one machine to another over a network or over the Internet. This can be useful for slow connections, and even useful for fast connections when you rapidly transfer files on a regular basis. In most business environments, reducing the amount of bandwidth used to transfer your documents, large or small, is essential to getting the job done fast and efficiently. This is the 64-bit version of 7-zip.